This is a Fund Raising event. Your bidding participation will help to support our needy Papillons. 2005 -2019. 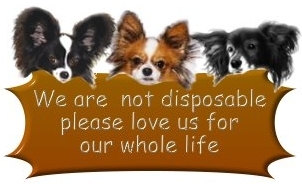 Papillon Haven Rescue (Incorporated) All rights reserved. All material on the Papillon Haven Rescue (PapHaven) website is copy written and protected. Auction Donations should be sent by MARCH 15th. Please email for directions.